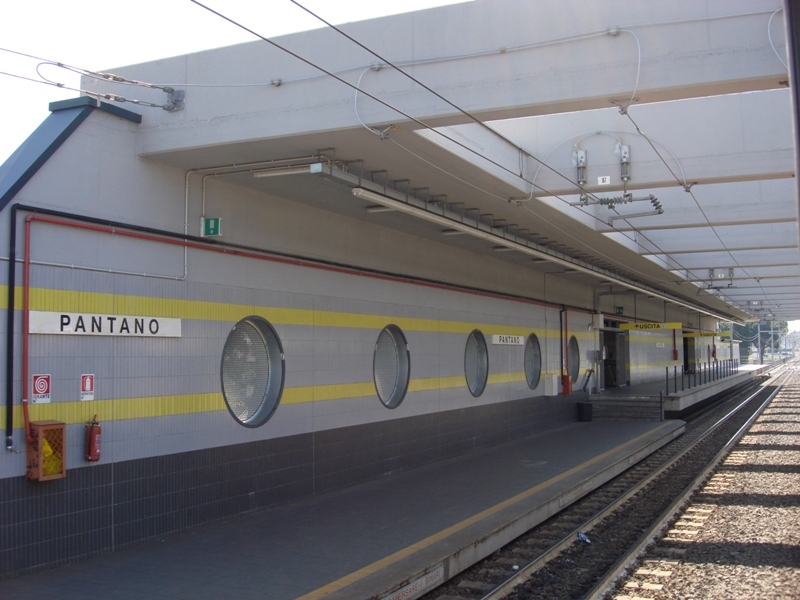 On july 7, 2008, the recently-reopened section of the Roma-Pantano light rail will close again between the stations Giardinetti and Pantano after only two years of operation. 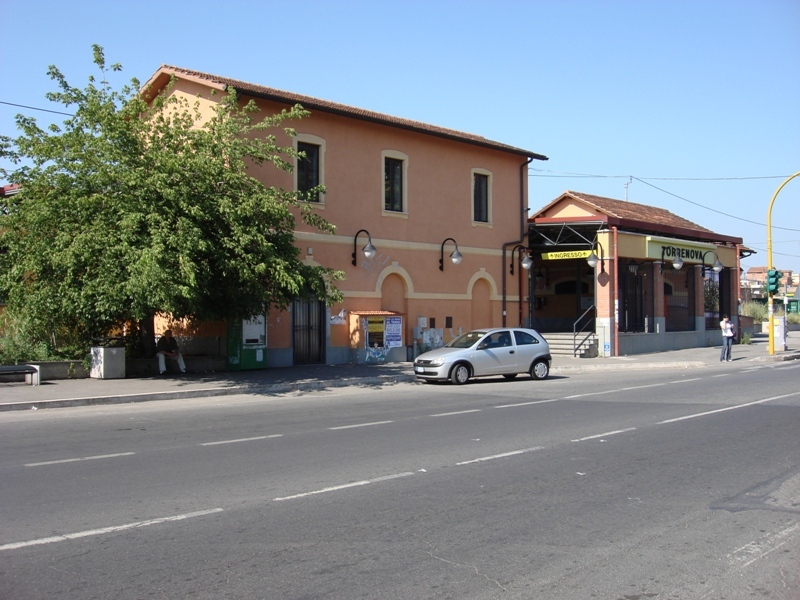 Once part of an extensive network covering all the eastern part of Lazio (including the towns of Frascati, Palestrina, Fiuggi, Alatri and Frosinone), Roma-Pantano light rail had heavily suffered from cars-oriented planning choices since 1950, when the inner terminal was moved from Rome’s Central Station to Via Giolitti, an area lacking connection to other means of transport. Between 1945 and 1983, several stretches and branches have been closed, both within the city and out of town. Some hopes about a renaissance of the line came in the 90’s, when a renovation plan for the line was made. Following the examples of french and german pre-métro, the outer part of the line was upgraded, with new bridges and tunnels and metro-like stations. The upgrading took from 1996 to 2006, and involved the closing of the outer section of the railway, substituted by buses. Now, works for the new metro line C will require the newly-rebuilt part to be closed until 2012. 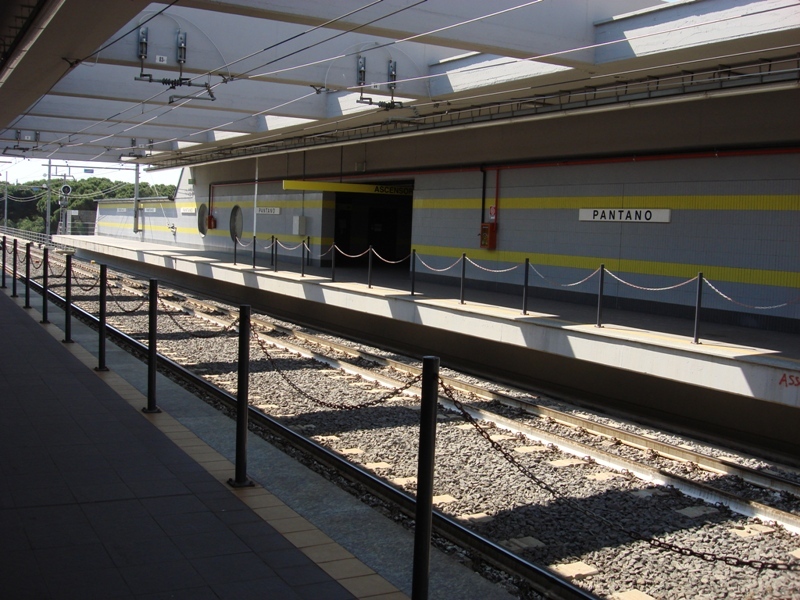 The inner city terminal of Roma-Pantano light rail. 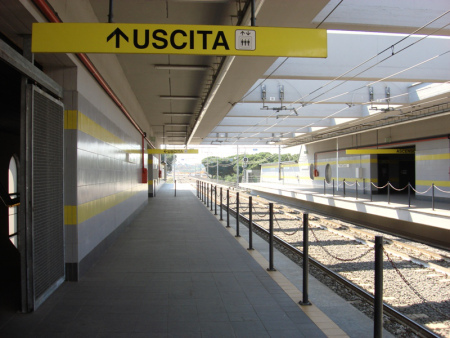 Vittorio Emanuele subway station is 100 m on the right, while Termini Railway station is 800 m backwards. At the moment, there is no project to move this terminal and improve its connection with the rest of the rail network. Centocelle station, refurbished in the 70’s. This station is in the middle of a busy road, and is accessible only via an underpass. Lack of police control in the underpass, and the low traffic in this station make the access particularly unsafe. Behind the station lies the dismissed Centocelle airport. This area could have been used to implement a transit-oriented development, but has instead been developped into a park. The park is underused and now host one of the biggest Bidonville in Rome. The old Centocelle station, now used as for recovery and maintenance. Access to the old station was much easier than to the current station. An abandoned branch, right after Centocelle station. The new terminus Giardinetti. From here on, the line will be closed and replaced by Metro C.
A train passes near Metro C construction site. Station Torrenova, which will be probably demolished. A train approaching the terminus Pantano. Some more images of Pantano. Précédent Roma: una linea tramviaria appena aperta chiude di nuovo.